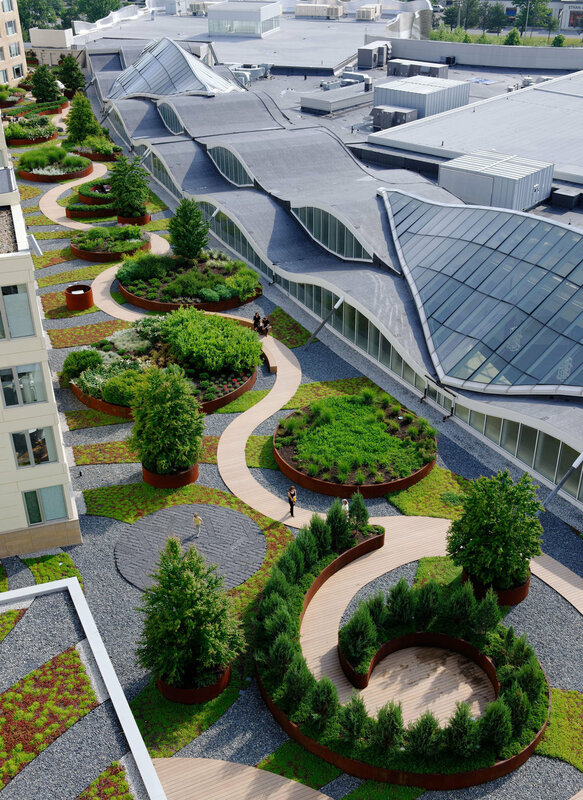 With rich color and bold materials, the rooftop deck of the residences at the Natick Mall provides a rich visual experience. 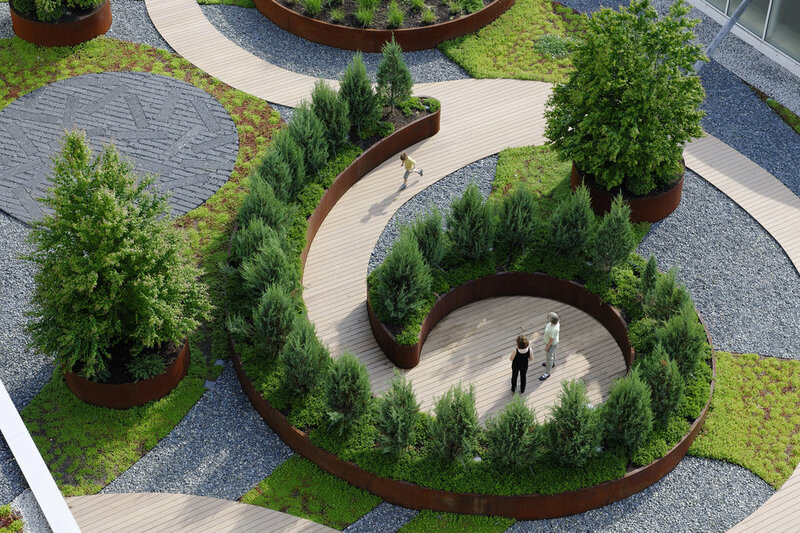 The deck was designed to engage the eye while walking through it as well as viewed from apartments above. It is located at the 6th floor of the Residences, between the mall skylight, residence amenity space, and individual condominium units. 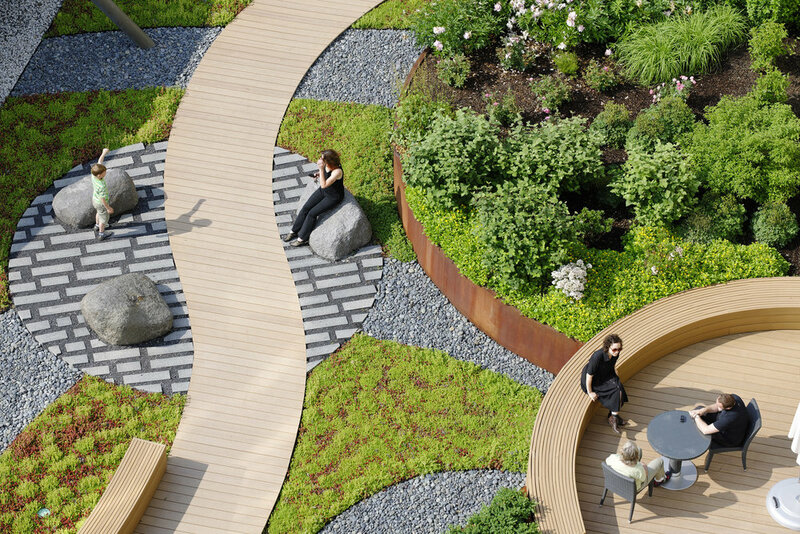 The rooftop is a cherished and vibrant social space that connects the residences and encourages interaction between the community. 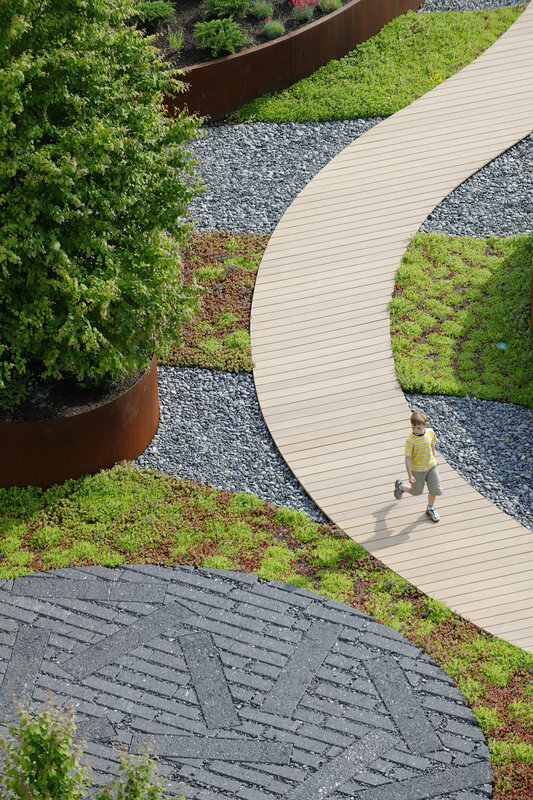 A graceful, meandering composite wood path weaves across the expansive roof with seating areas nestled into the hedge wall. Deciduous trees act as living screens that provide shade and vertical interest as they shift with the winds. 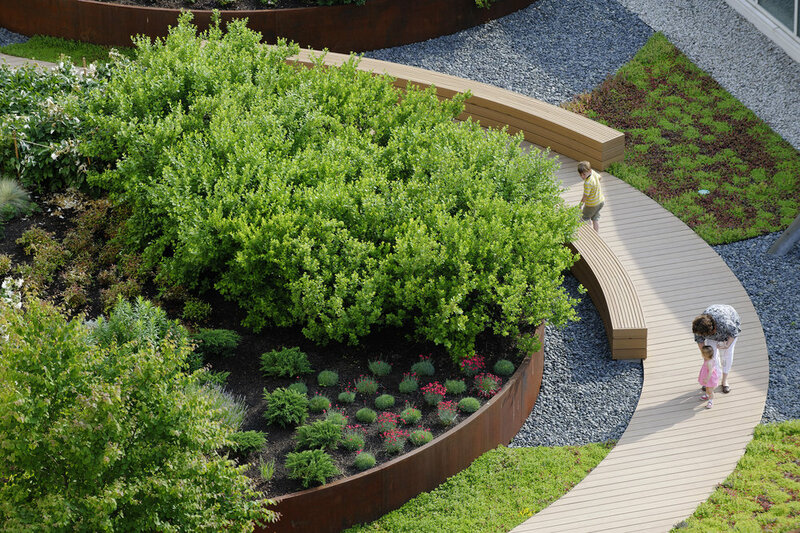 The curves of the path embrace large round cor-ten steel planters containing a mixture of ornamental grasses, flowering perennials, and evergreen shrubs. 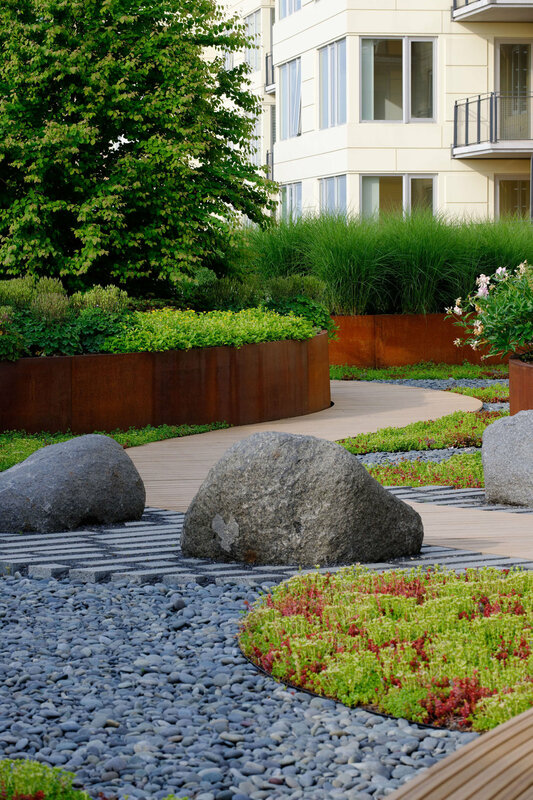 Underlying the path and planters is a lively pattern of stone and sedum ribbons.